Has Windows 8 slowed you down? We’ll get you back to speed! From boot to shutdown and everything in between – let us show you the best tweaks and shortcuts to efficiently use Windows 8. Experienced Windows 8 users know the tricks that let them bypass the seemingly inefficient Start screen and mouse gestures for getting around the system. With the right tweaks and knowledge, a Windows 8 system doesn’t have to be more inefficient than a Windows 7 system. In fact, a Windows 8 PC might be even faster, as Windows 8 performs better than Windows 7 — especially when it comes to boot times. The biggest issue for new Windows 8 users will be that new Start screen that replaces the Start menu. If you’re used to using the Start menu, this can be disorienting and slow you down. Consult our introduction to Windows 8 Upgrading to Windows 8? Get Settled In Faster with these Tips Upgrading to Windows 8? Get Settled In Faster with these Tips If it's about time you purchase a new computer, that computer is probably going to come with Windows 8. Microsoft hasn't included a tutorial with Windows 8 -- aside from the cryptic "move your mouse... Read More for more information. Windows 8.1 added a Start button back to the desktop taskbar, but per default it just takes you to the new Start screen. Luckily, Windows 8.1 includes a variety of desktop-integration options 8 Super Windows 8.1 Tweaks For Power Users 8 Super Windows 8.1 Tweaks For Power Users With Windows 8.1 came many changes. Some options are completely new, others were changed or moved. Whether you're using Windows 8.1 on a desktop, tablet, or something in between, these tweaks will come in handy! 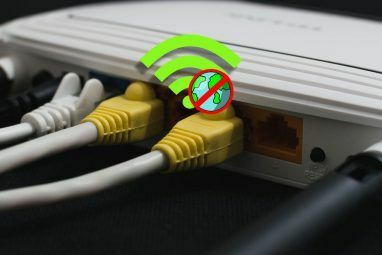 Read More that let you boot to the desktop, show your desktop background on the Start screen, display your installed apps immediately when you visit the Start screen, and disable troublesome hot corners. And with a few tweaks, you can reconstruct the Start Menu How To Build A Desktop Start Menu Replacement In Windows 8.1 How To Build A Desktop Start Menu Replacement In Windows 8.1 Are you tired of the Modern interface? Windows 8.1 allows you to boot to the desktop. If only the restored Start Button would launch a proper Start Menu! Well, it sort of can. Read More . Searching is key to quickly opening apps, settings, and files. Just press the Windows key to access your Start screen and start typing the name of a program to search for it. For example, you can quickly launch Firefox from the desktop by pressing the Windows key, typing firef, and pressing Enter. Windows 8.1 improves things by offering unified search and allowing you to press Windows Key + S to open a search sidebar on the desktop, allowing you to search for programs and quickly launch them without visiting the Start screen. Pinning applications to your taskbar is also helpful. When an application is running, right-lick it and select the Pin to taskbar option and it will always appear on your taskbar, allowing you to quickly launch it without leaving the desktop. If you still want a traditional pop-up Start menu, you can also install a third-party Start menu replacement for Windows 8 Start Menu, How I Miss Thee: 4 Ways To Make A Start Menu On Windows 8 Start Menu, How I Miss Thee: 4 Ways To Make A Start Menu On Windows 8 Windows 8 brought down the axe on the Start Menu. This is a feature that no one paid special attention to for years but its untimely demise has caused all sorts of despair. Not only... Read More . Windows 8 and 8.1 are packed with shortcuts. This includes keyboard shortcuts, mouse gestures, touchscreen gestures, and even special trackpad edge gestures. Using these shortcuts will help you get around your Windows 8 system much faster. For example, let’s say you want to open the Settings charm on a PC without a touch screen. You could move your mouse to the upper or lower-right corners of your screen, move the mouse to the center of the right edge, and then click the Settings option when the charms bar pops out. Or, from your keyboard, you could quickly press Windows Key + C and click Settings. If you knew all the shortcuts, you could just press Windows Key + I to open the Settings charm as quickly as possible. For more information on mastering these shortcuts, check out our in-depth look at Windows 8 shortcuts Every Windows 8 Shortcut - Gestures, Desktop, Command Line Every Windows 8 Shortcut - Gestures, Desktop, Command Line Windows 8 is all about shortcuts. People with touch-enabled PCs use touch gestures, users without touch devices must learn the mouse shortcuts, power users use keyboard shortcuts on the desktop and novel command-line shortcuts, and... Read More . Be sure to download or consult our printable cheat sheets for more complete lists of Windows 8 keyboard shortcuts and Windows 8 touch and mouse gestures. Of course, if any of these gestures are getting in the way — for example, maybe you’re activating the trackpad edge gestures activating by mistake — you can disable many of Windows 8’s gestures 3 Ways to Disable Windows 8 Gestures 3 Ways to Disable Windows 8 Gestures Windows 8 is full of gestures and shortcuts. In addition to touch-screen gestures, there are swipe gestures you can perform with your laptop's touchpad and mouse gestures that involve moving your cursor to the corners... Read More . Note that Windows 8.1 also allows you to disable the upper-left and upper-right hot corners from the taskbar’s properties window. The “Shut Down” option is hidden on Windows 8, as Microsoft clearly wants you not to shut down your computer. People don’t shut down their iPads, the thinking goes, so why should they shut down their Windows tablets? Shutting down is still easily possible, if you know where to look. We’ve covered a variety of ways to shut down Windows 8 How To Shut Down Windows 8 How To Shut Down Windows 8 Windows 8 brings the biggest changes to the familiar Windows interface since Windows 95. The Shut Down option isn’t where you’d expect to find it – in fact, the entire classic Start menu and Start... Read More — from the charms, desktop, Ctrl+Alt+Delete menu, or even the login screen. As of Windows 8.1, you can also shut down your computer from the power user menu 8 Ways To Improve Windows 8 With Win+X Menu Editor 8 Ways To Improve Windows 8 With Win+X Menu Editor Windows 8 contains an almost hidden feature you need to know about! Press Windows Key + X or right-click at the bottom-left corner of your screen to open a menu you can now customize. Read More — either right-click in the bottom-left corner of your screen or press Windows Key + X to bring it up and select Shut Down. Windows 8’s boot time is improved over Windows 7’s as a result of the new “hybrid boot” feature How To Resolve Windows 8 Boot Issues How To Resolve Windows 8 Boot Issues Windows 8 uses a new "hybrid boot" feature to improve boot times. 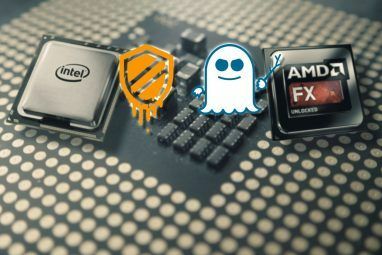 When you shut down, your computer doesn't actually shut down normally - it performs a sort of limited "hibernate" that stores a state... Read More , but no boot time will ever be perfect until we get instant-on devices. If you’re unhappy with your Windows 8 device’s boot time, be sure to read our collection of tips for improving a Windows 8 PC’s boot time How To Make Windows 8 Boot Even Faster! How To Make Windows 8 Boot Even Faster! Windows 8 may have plenty of issues, but a slow boot time ain't one. Windows 8 boots fast! Yet, there is room for improvement. We show you how to measure and optimize your Windows boot... Read More . Windows 8’s Task Manager is dramatically improved The Windows 8 Task Manager: A Gem Hidden In Plain Sight The Windows 8 Task Manager: A Gem Hidden In Plain Sight While many parts of Windows 8 are debatable (maybe Modern is the future; maybe it's not), one element of Windows 8 that has undergone a massive overhaul and made it unequivocally more awesome is the... Read More , complete with a built-in startup program manager, so speeding up your Windows boot process by disabling startup programs is faster and easier than ever. Ultimately, your computer’s performance is still key. 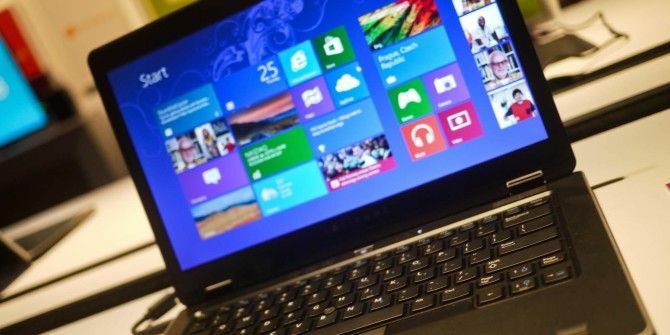 Read our tips for improving Windows 8’s performance How to Make Windows 8 Go Faster: 8 Tips For Improving Performance How to Make Windows 8 Go Faster: 8 Tips For Improving Performance Whatever you think of Windows 8 (at MakeUseOf, our opinions are mixed), it’s certainly speedy. Windows 8 boots faster than previous versions of Windows, has lower memory usage, and has a desktop that feels nice... Read More for more ways to make Windows 8 speedy. Windows 8 PCs are still PCs, so much of the other tips for speeding up your PC also apply. If you have a computer without a solid-state drive, buying and installing an SSD The Complete Guide On Installing A Solid State Hard Drive In Your PC The Complete Guide On Installing A Solid State Hard Drive In Your PC A solid state hard drive is one of the best upgrades available for a modern computer. It increases the load times of programs dramatically, which in turn makes a PC feel snappier. Results can be... Read More will offer dramatic performance improvements. For most people, this is the most significant upgrade you can do — your slow hard drive is likely your computer’s performance bottleneck. For more information on Windows 8, be sure to check out our free Windows 8 guide. Do you have any other tips for being more efficient and speedy on Windows 8 or Windows 8.1 PCs? Leave a tip below and share them! Is there any way to turn off the lock screen in Win-8? Good work. Win 8.1 is quite fast and I do not think a few seconds make any significant difference. I have one new HP i7 Envy laptop with 8 Gb RAM etc. I replaced the HDD with Samsung 840 pro SSD (128 Gb) and now the laptop can win a gold medal in Olympics. The boot time about 8 to 10 seconds and shut down is almost immediate. Programs open on the touch of a key. So my suggestions will be: add some more RAM and a SSD to your slow PC or laptop. The performance improvement is astonishing. Good article. Kindly keep it up. Keep in mind that a gazillion folks are skipping Win 8 entirely, much the same way that Win Vista was ignored. So please, do not lose your minds over Win 8. Generally, you shouldn't be worry about speed in exchange for stability but in a perfect world, we want both. Windows 8 is already fast in regards of its previous version and making it faster would be pointless. 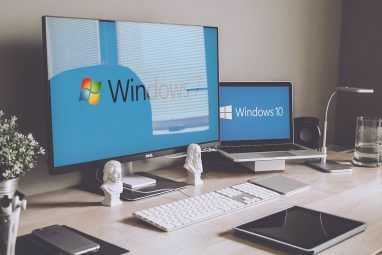 The bootup and especially shutdown time is quick, but this is Windows, where you can have viruses, bloatware, other signs of symptoms that may leave a user waiting a full 10 minutes to open a program. Love spreading good karma and hope it comes back in life! Stardock software has a variety of really handy tools for making win8 easier to use. They give you settings that allow tweaking. It's made my experience better so I recommend them. However, the majority of thier software are priced at $4.99 each. I use just 3 of them and they're good.